Audio Theory Records, an Athens-based digital label is all set for launch on September 7th, 2012. Covering a wide spectrum of the electronic dance music from ambient to drum and bass, Audio Theory Records (ATR) aspires to create serious waves in the emerging local scene, as well as establish a creative space for new domestic and international artists. 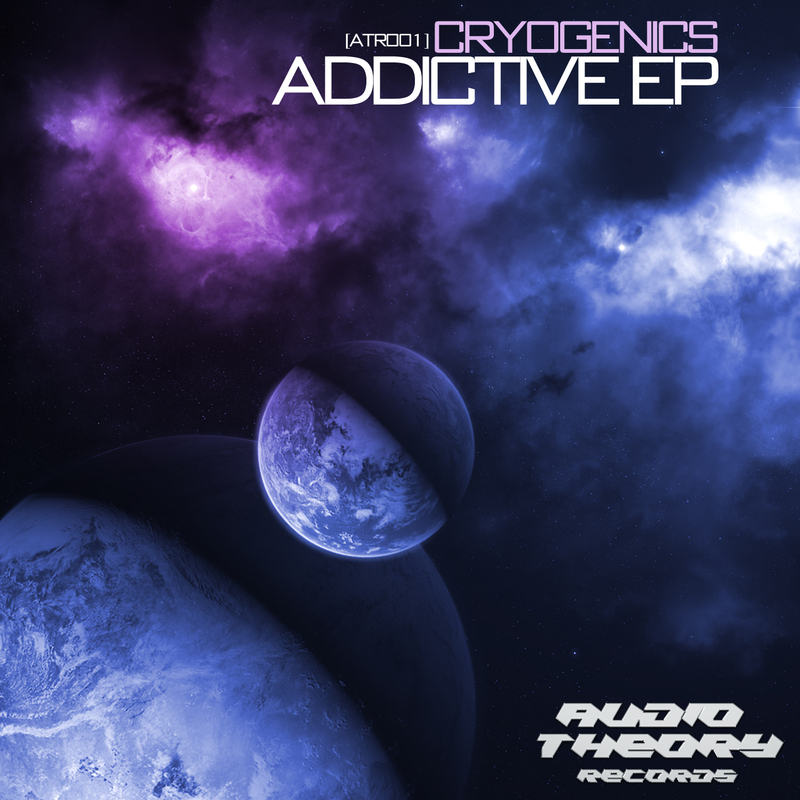 The first release (ATR001) is a 3-track ep entitled Addictive EP by Cryogenics and is due to be released on September 7th, 2012. Cryogenics is a well-established dj in the Greek drum and bass scene as well a radio host of the Haunted Science radio show and co-owner of Audio Theory Records. A full bio, as well as links and contact details are provided at the last section of the review. Time Surfer is an atmospheric track with haunting pads and broken chords, with clear influences from the Autonomic initiative. The use of an arpeggiator achieves a progressive bulding to the track creating an interesting rhythmic landscape. The second track of the ep is a dancefloor roller with a subtle female vocal sample used as a bridge to change the tempo creating a mesmerising atmosphere, while the bassline guarantees to keep you moving. The third track is the one after which the ep is named after. Rather more minimal than the other 2 tracks of the ep, with a huge sub bass kicking your stomach, it is dominated by the vocal sample taken from the “Underworld” movie in 2003. “It is the oldest story in the book; he desires the one thing he cannot have”. Say no more. This entry was posted in Views, Reviews & Interviews and tagged addictive, audio theory, cryogenics, drum and bass, ep, launch, minimal, music, records, runner, surfer, time. Bookmark the permalink.